With injuries to Charles Tillman and concerns about the team’s wide receiver depth, the Chicago Bears made a slew of roster moves on Tuesday afternoon. 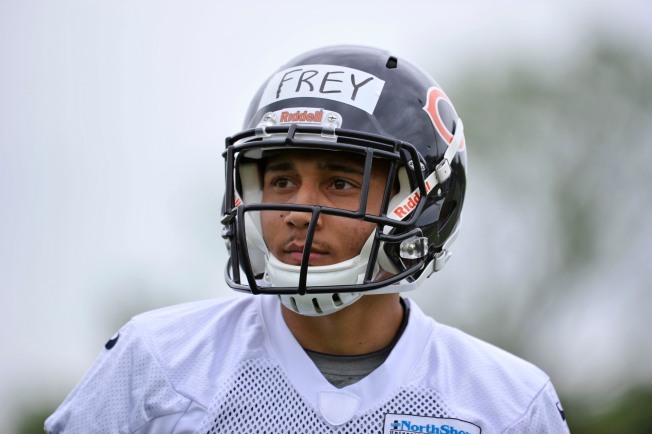 The biggest news of the day was the decision to sign cornerback Isaiah Frey off of the team’s practice squad. Frey played all 16 games for the Bears last season, serving primarily as the nickelback on the roster. He had 62 tackles and two pass break-ups on the year, and he will likely see a big chunk of playing time in the spot with Tim Jennings and Kyle Fuller moving to the outside cornerback positions in Tillman’s absence. The Bears also promoted wide receiver Rashad Ross from the practice squad. This is Ross’ second year in the league, but he spent all of 2013 on practice squads, first signing with the Tennessee Titans and then with the Kansas City Chiefs last year. He also had some kick return experience in his college days at Arizona State, returning 28 kicks for 779 yards and two touchdowns. In order to make room for Ross and Frey, the Bears cut three players from their 53-man roster, with Shaun Draughn, Chris Williams, and Matthew Mulligan all being let go by the team. Draughn’s departure wasn’t much of a surprise, considering the poor effort he put forth in the special teams department in Sunday’s win against the San Francisco 49’ers. His missed block on a punt ended up resulting in a blocked punt (and excellent field position for San Francisco) and he also picked up a holding penalty on the game’s opening kick-off. The Bears’ decision to waive Williams came as more of a surprise. On Tuesday during his press conference, Marc Trestman didn’t exactly show much faith in Senorise Perry as the long-term answer at kick returner for the Bears, and Williams’ proficiency in that area is one reason that the team signed him. Not even giving him the chance to start at the spot indicates that the team isn’t comfortable with him playing at the receiver position, but it’s still an odd bit of timing. The Bears rounded out their day of moves by signing defensive tackle Roy Philon to the practice squad. They currently have one spot available on the 53-man roster, and three spots available on the 10-man practice squad.